Obituary for Anna (Prystupa) Bilyk | Bayonne Memorial Home, Inc.
Anna Bilyk (nee: Prystupa), of Whitestone, NY, formerly of Bayonne, passed away on Sunday, March 24, 2019. Mrs. Bilyk was born in Minasde Butia, Brazil and resided in Bayonne for many years before relocating to live with her daughter last year. She was a machine operator for Pramisco in Union, prior to retirement. 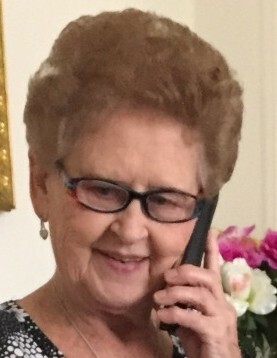 Mrs. Bilyk was predeceased by her beloved husband, Marian Bilyk, in 2018. She is survived by her loving children, Ilca Martinovic and Claudio Jurkivo; her cherished grandchildren Nicholas, Ivan and Katarina Martivovic, David Jurkivo and Claudia Hanak; and four adoring great grandchildren. The funeral will be conducted from William Kohoot Funeral Home on Thursday, March 28, 2019. A Funeral Liturgy will be held at 10:00 a.m. at Assumption of the B.V.M. Ukrainian Catholic Church followed by interment at St. Andrews Cemetery, South Bound Brook. Visitation will be held at the funeral home on Wednesday, March 27, 2019 from 2:00 p.m. to 6:00 p.m. Parastas will take place at 3:00 p.m.